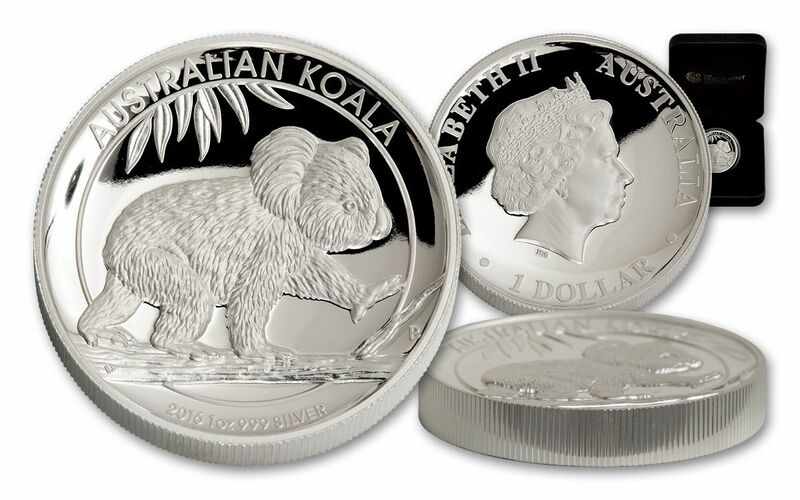 It's a G'Day For Fans of Silver Koalas! Look what just climbed into our warehouse! 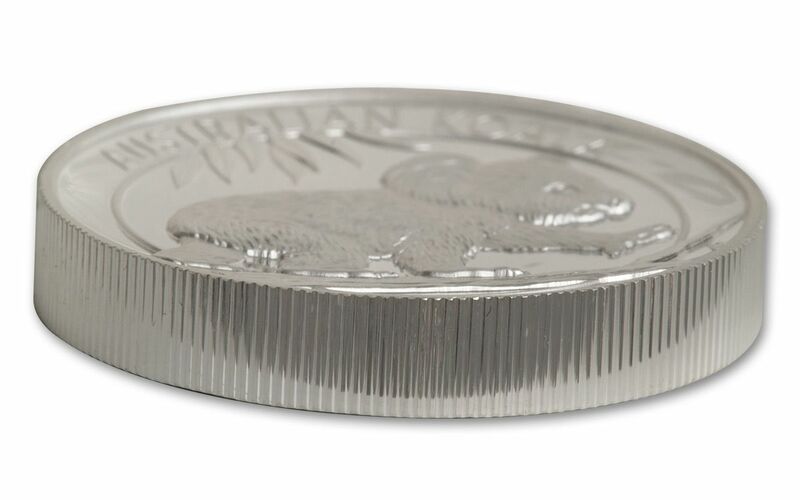 It's the new 2016 Silver Koala Proof from Australia's famed Perth Mint, presented here in stunning double-sided high relief. 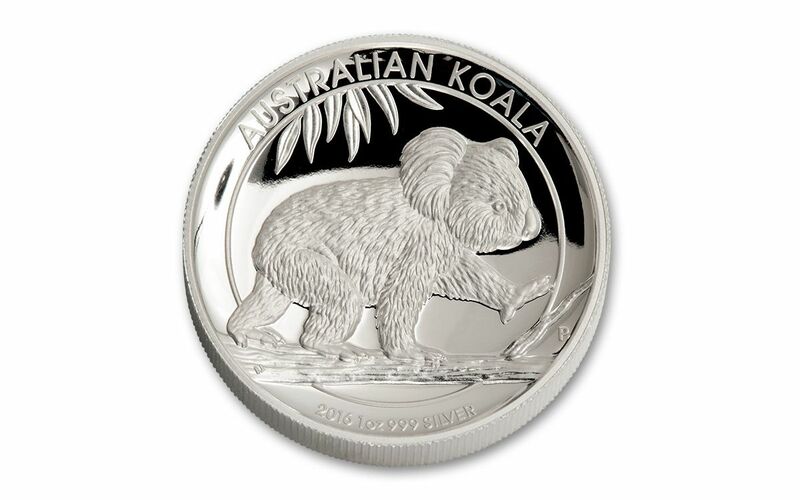 This year's brand-new design depicts an adult koala walking along the branch of a eucalyptus tree, and you'll be absolutely bamboozled by how incredible it looks minted in a full ounce of 99.9% fine silver. 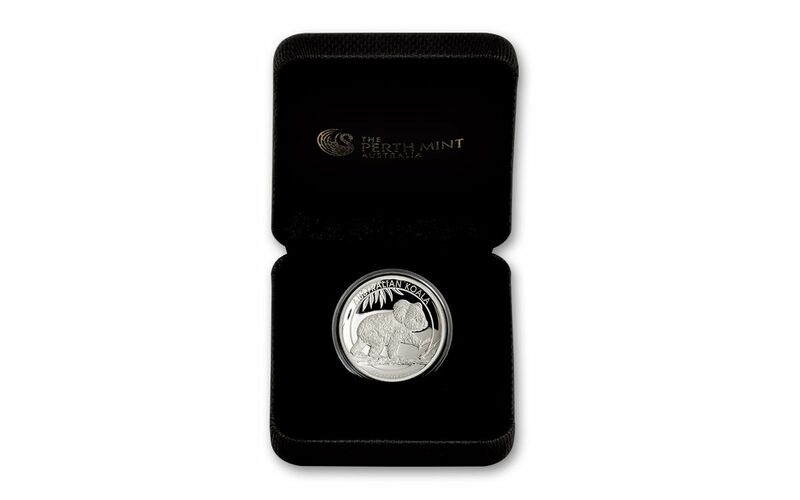 Above the design are the words "Australian Koala," while the proof's year (2016), weight (1 oz) and content (.999 silver) are presented below. 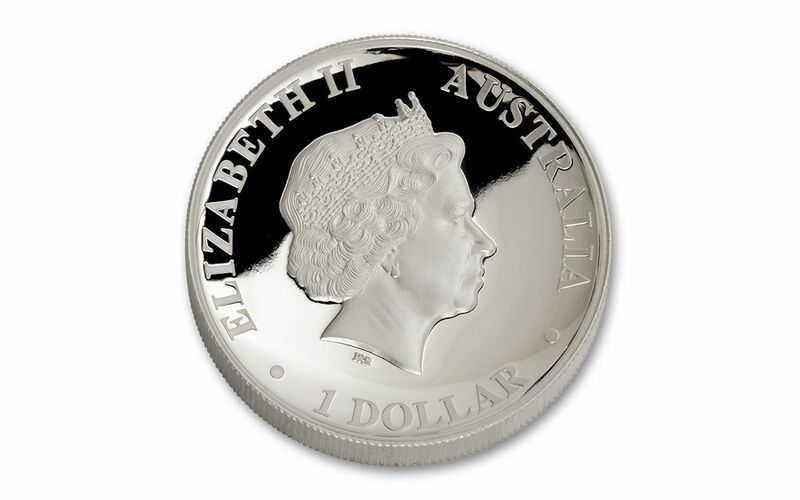 The obverse depicts Her Majesty Queen Elizabeth II along with the denomination of one dollar. That's right -- minted under the authority of the Australian government, this proof isn't just amazing to look at, it's legal tender as well. (Of course, we don't suggest you spend it!) Its mintage is limited to only 10,000, and we're seeing demand to remain high for this annual collector's favorite. Give this cuddly koala a special place in your collection and order yours today!